There is not much that hasn’t been written about the result of the UK referendum and subsequent decision to leave the EU. 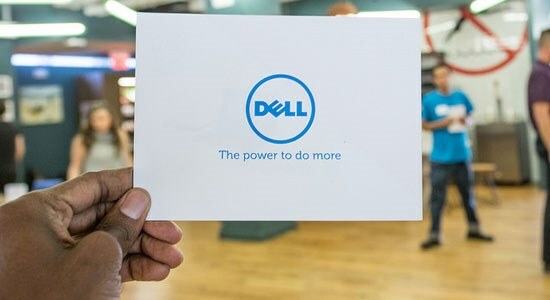 Here at Dell, like the rest of the country, we are assessing what this means to our organisation. As a global business we have the benefit of being able to allow the understandable emotion associated with ‘Brexit’ to work its way through our industry and society while we continue to help our customers day to day. Now that the dust has settled a little from June’s result, what we are hearing from our customers and partners is that they can see the opportunity that lies ahead. The machinations of how we do business at home and abroad might change, but our outlook and strengths as a nation remain the same – we are citizens and businesses of the world. We are yet to see what the UK looks like outside of the EU, but UK PLC will only remain competitive if we focus on two specific areas. Firstly we will only thrive through innovation. Standing still is not an option. It’s time to reinvest in our knowledge economy and creative hubs to ensure that we remain at the forefront of science and technology. Secondly the UK has to keep investing in an environment to nurture and encourage growing businesses. Research suggests that globally start-ups account for around 70 percent of net new jobs. If we are to grow and thrive as a country, resource and focus needs to be put into supporting the start-up community. Whatever the make-up of the next British government, there needs to be a concerted effort to raise capital to keep our nation entrepreneurial. The UK was Michael Dell’s first international market when he brought his vision of innovation to our shores almost 30 years ago. Dell’s commitment to the UK has never wavered and our 2000+ staff based across the country are what make us great. To quote Her Majesty Queen Elizabeth, now is the time for “hope and optimism” in our industry. In hand with our partners and our global Dell family we will work to ensure UK companies continue to thrive. If we as individuals, as an industry and as a country can encourage our government to focus on investment in technology innovation and supporting start-ups, there is great opportunity ahead. Bitcoin payments have been unavailable from the UK store for close to a month. So much to innovation and entrepreneurship. Great article! It's reassuring to read that our (Dell) commitment to UK is still strong.There is indeed a fantastic opportunity presented in the UK market and it's a good time to strengthen our (Dell) relationships with our key partners and customers.